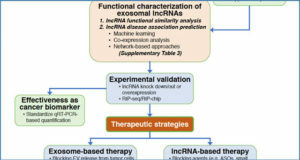 It is a great surprise that the genomes of mammals and other eukaryotes harbor many thousands of long noncoding RNAs (lncRNAs). 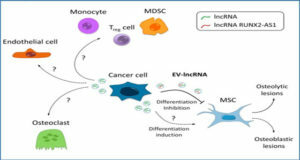 Although these long noncoding transcripts were once considered to be simply transcriptional noise or cloning artifacts, multiple studies have suggested that lncRNAs are emerging as new players in diverse human diseases, especially in cancer, and that the molecular mechanisms of lncRNAs need to be elucidated. 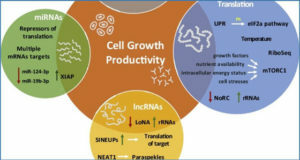 More recently, evidence has begun to accumulate describing the complex post-transcriptional regulation in which lncRNAs are involved. 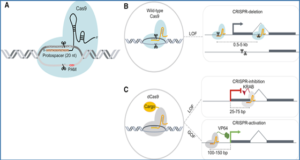 It was reported that lncRNAs can be implicated in degradation, translation, pre-messenger RNA (mRNA) splicing, and protein activities and even as microRNAs (miRNAs) sponges in both a sequence-dependent and sequence-independent manner. 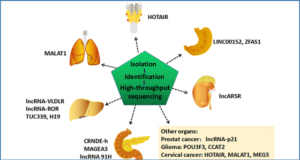 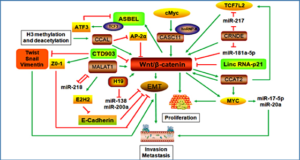 In this review, the authors present an updated vision of lncRNAs and summarize the mechanism of post-transcriptional regulation by lncRNAs, providing new insight into the functional cellular roles that they may play in human diseases, with a particular focus on cancers.